The singers in the Carolyn Mawby Chorale have the voices of angels! The chorale music group is currently busy preparing and practicing for its much-anticipated performance, the Carolyn Mawby Christmas Concert, which will be held at 4pm on December 4 at First Presbyterian Church in Downtown Flint. 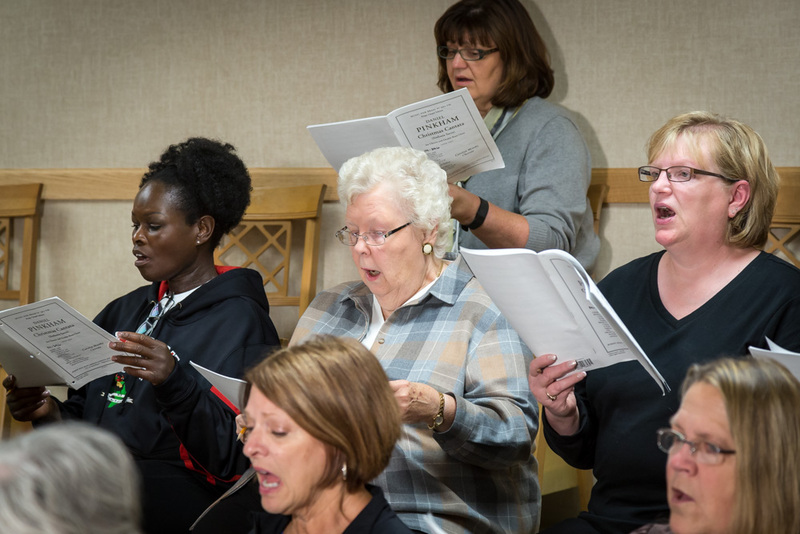 The group shared its passion for chorale music and its special harmony of voices for many years under the direction of Carolyn Mawby, who left this earth in April 2014 after a long battle with cancer. Carolyn left behind a legacy of excellence in music that has inspired many, many people. 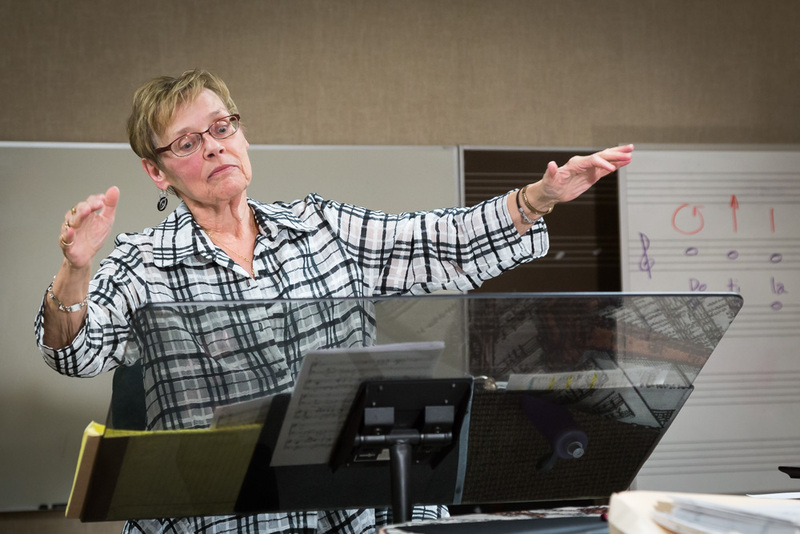 Her memory lives on through the group, now directed by Mary Nieuwenhuis, Artistic Director and Conductor; and Dr. Matthew Thompson, Accompanist and Associate Conductor. 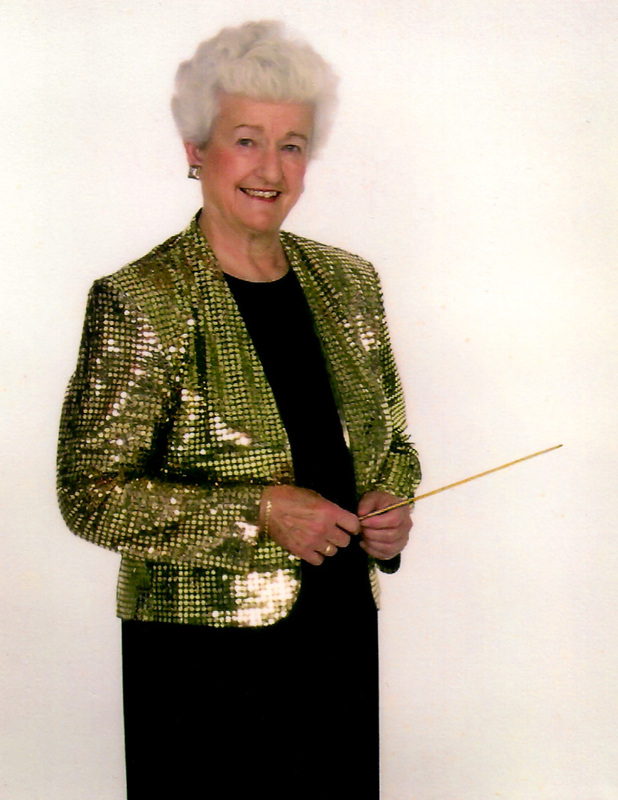 In her wisdom, Carolyn, who had worked well with Mary and Matthew, chose them to carry on in her absence; and it was very fitting, according to Roberta Goergen, President of the Chorale. “They were like the Three Musketeers,” she says, adding that they collaborated well together and shared the same desire for excellence. Carolyn always loved music and began playing the trumpet at an early age, becoming an accomplished trumpet player while in high school. 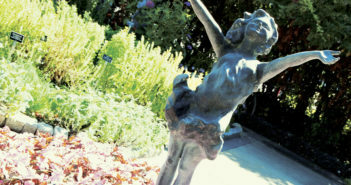 After graduating from Michigan State University, she went on to earn a master’s degree in music history at Boston University. 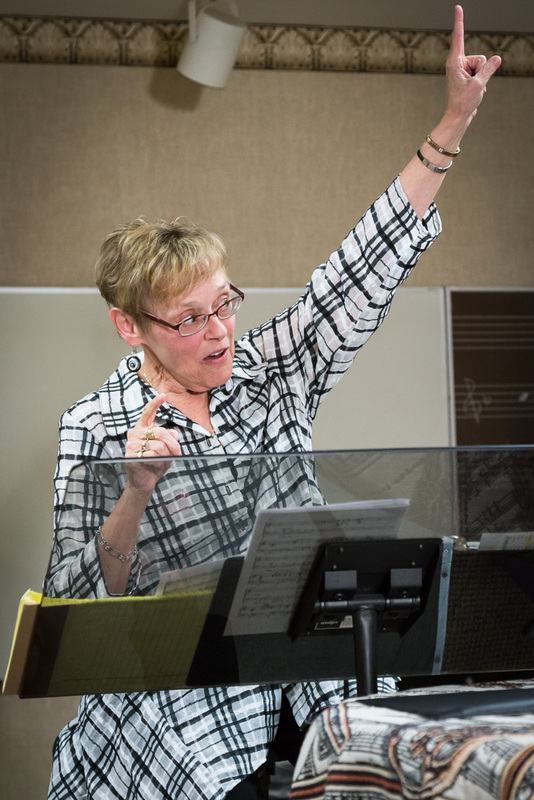 When a job opened up at Grand Blanc High School, Carolyn moved to the area and became the choir director. 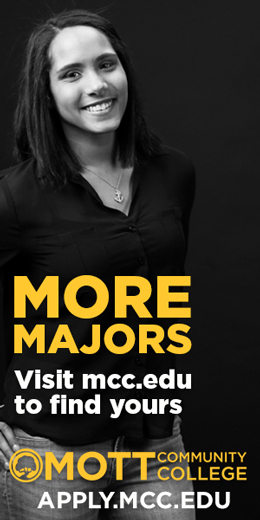 After ten years, she was invited by Dr. Ray Roth to help establish a music program at the University of Michigan-Flint. 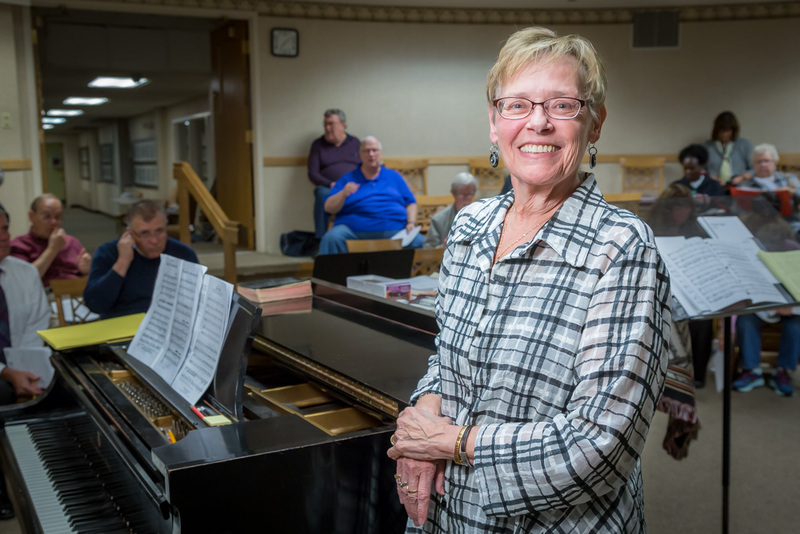 “She was the reason I went to UM-Flint,” says Paul Ballard, who, along with Kathy Howe, is an original group member who sang under Carolyn’s direction during high school. 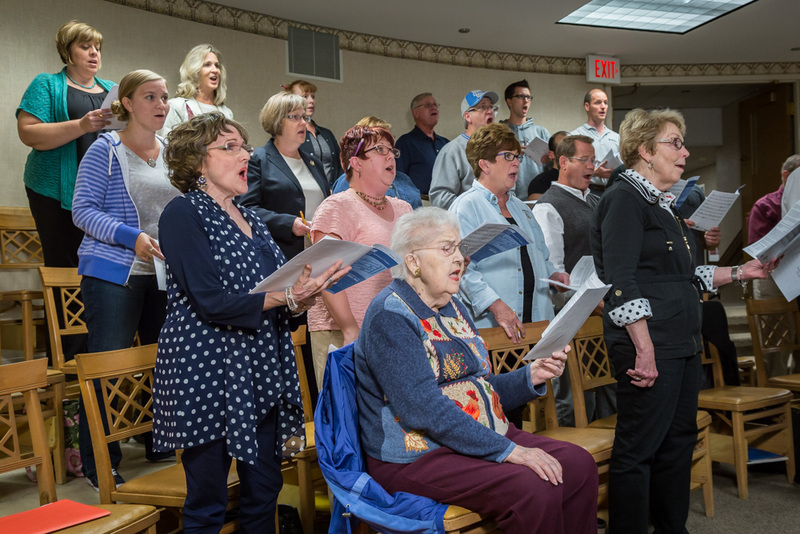 The Michigan Flint Alumni Choir was re-named the Carolyn Mawby Chorale after Carolyn retired from UM-Flint. 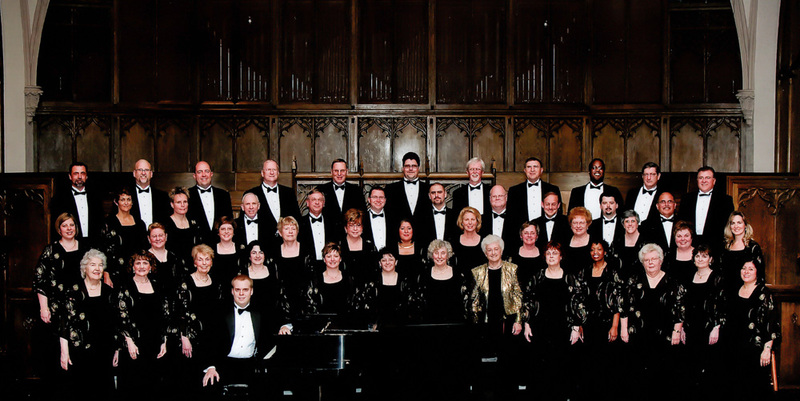 In 1994, the chorale opened its membership to non-alumni and now, there are over 50 singers. 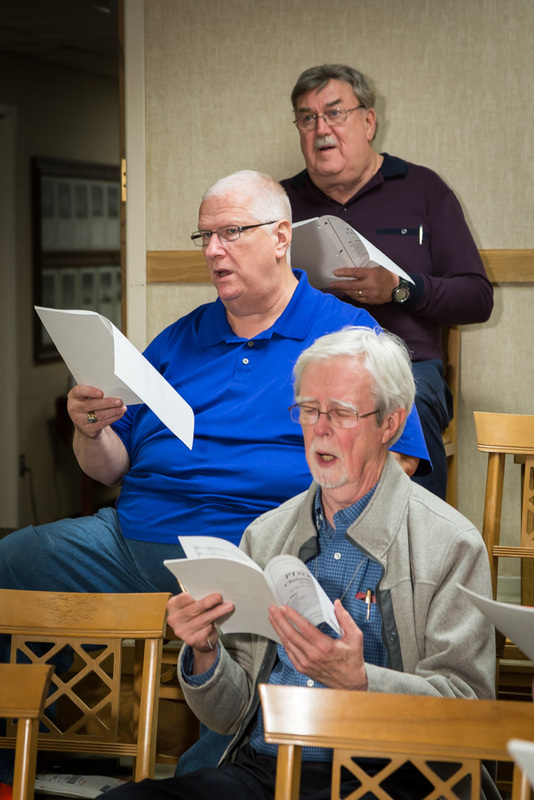 Members must audition to sing with the group. And while Mary and Matthew had big shoes to fill, it is evident that this passionate group is delighted that the same high standard of performance has continued. Carolyn’s legacy lives on – in many hearts and in the performances of the Carolyn Mawby Chorale.